Caesar's Holiday Wish | New Growth Hair Magazine | We capture the culture of urban barbershops and beauty salons. 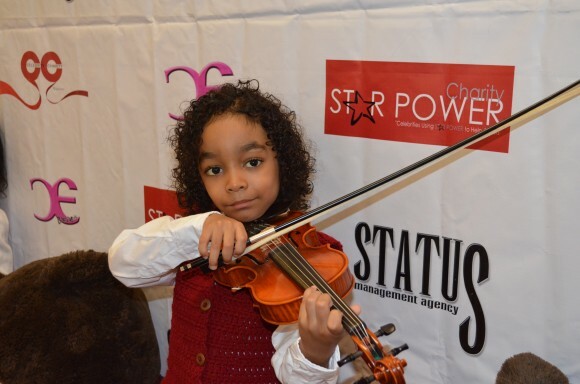 Caesar Sant, a Winston-Salem, NC resident, is a six-year-old child prodigy who plays the violin exceptionally well, speaks seven languages, and holds a black belt in Karate. When Caesar was 22 months old, his parents identified his passion for music. At the age of 2, Caesar began playing the violin. “Caesar is very remarkable, he is unbelievable sometimes. Kids learn real fast and he is obviously very fast.” said Hongmei Zhou, (Caesar’s string teacher) to WXII 12 News. Caesar was born with sickle cell anemia, which has resulted in Caesar having three acute strokes. In June 2014, when Caesar suffered his last stroke, he was temporarily paralyzed and unable to walk for six month. Caesar’s doctors recommended a bone marrow transplant to save his life. Luckily, Caesar’s newborn sister is an exact match for the procedure required to save Caesar’s life. The only thing stopping Caesar from undergoing surgery is $500,000, which is the projected cost of the bone marrow transplant procedure. 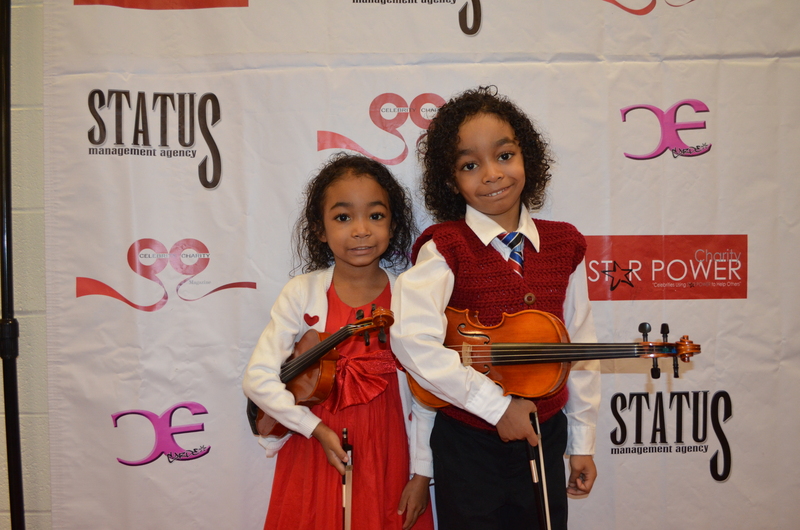 Two months ago, at Star Power’s Sickle Cell Awareness Fundraiser, I had the opportunity to hear Caesar and his sister perform. During Caesar’s performance, we made eye contact and I felt compelled to meet him and his family afterwards. Caesar’s parents told me that the hardest questions that Caesar asks them are, “Why can’t I walk?” and “Why am I sick?” Caesar’s parents are trying to raise funds for his bone marrow transplant, so they won’t have to tell Caesar why he is sick, can’t walk, and can’t play. Lindos demais estes artista Vövó ama demais ,que Deus vos abencoe.